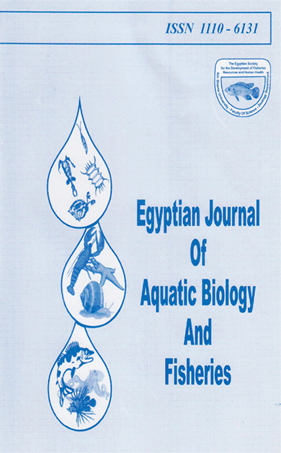 Three fishes of genus Scomberomorus (family: Scombridae) were observed among the catch of pelagic fish (Sardinella aurita, Sardinella maderensis, trachurus mediterraneus and Engraulis encrasicolus) obtained by pure seine net using light operated in the Egyptian Mediterranean waters (off Abu- Qir). Two fish were recorded for the first time of West African Spanish mackerel (Scombermorus tritor; Cuvier, 1832); the third was the migrated red sea species into the Mediterranean Sea(Scombermorus commerson; laceped, 1800). By comparing the morphometric characters of both species having the same length (TL: 41.0 cm. ); it was found that they have the same meristic counts, but differing in about 10 morphometric indices out of 26, where Scombermorus commerson have greater values than Scombermorus tritor. Generally, the external features of the bodies of the two species are the main difference between them, as Scombermorus tritor have about 40 black rounded spots around the lateral line, while Scombermorus commerson have about 16 vertical bars below the first, and second dorsal fin followed by about twenty black rounded spots extended behind till caudal fin.